With this month being National Smile Month, I thought it was the perfect time to share some of my new favourite teeth whitening products for an extra bright smile. A few weeks ago, I was emailed and asked to try the new whitening range by Janina Ultra White to make my summer smile whiter and brighter – and of course, I had to say yes! Oral hygiene is something I take very seriously, and I’m always up for trying new products that make me feel even more confident. Having the perfect white smile can definitely be a huge confidence booster, so when a couple of products from the range were delivered through my door, I couldn’t wait to try them and share my thoughts. First up were the Janina Ultra White Pre-filled Trays*. 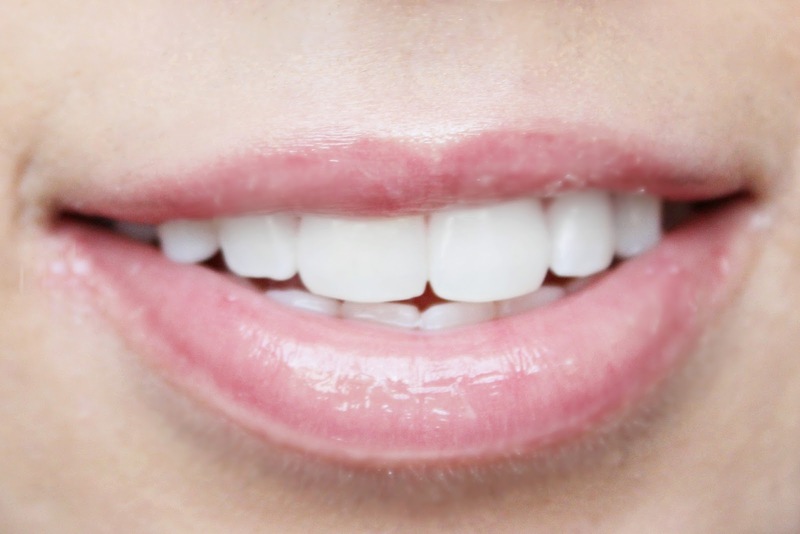 This claims to make teeth up to seven shades whiter in just five days. The box comes with five pre-filled trays that you simply slot into place in your mouth and leave for half an hour. It can tingle a bit, especially if you have sensitive teeth like me, but not excessively so. I don’t really have many stains on my teeth, but I enjoyed using the trays as an extra brightening treatment. 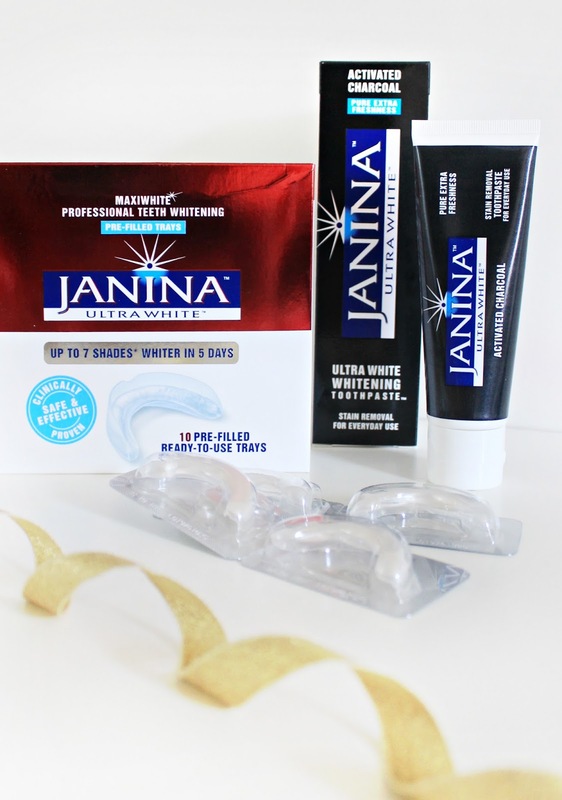 The second product they kindly sent over was the Janina Ultra White Whitening Toothpaste*. This toothpaste claims to be a gentle, effective everyday stain removal solution. I wanted to try it out straight away and I’ve been using it twice a day for about three weeks now. However, I have to say, I wasn’t as wowed as I was expecting to be. It is a new concept – the paste is black and has activated charcoal to help with stain removal, but it didn’t feel as refreshing as other toothpastes I’ve used. I don’t know if that’s just me, because I like a strong toothpaste, but this one didn’t seem to do the trick. For such an expensive toothpaste, I was expecting to be thrilled with the results – but that didn’t seem to happen with this one. Saying that, I did really enjoy the pre-filled whitening trays, and I do think they’re worth the investment for a brighter, whiter smile this summer! It’s a short course, and well worth it for the extra confidence that a gorgeous white smile can give. Have you tried any Janina Ultra Whitening products before? Previous Post My Lazy Weekend Favourites. Next Post My Glossy Summer Lip Picks.